The legacy of the Kraft Caramels began in 1933, when Kraft Caramels were created by using more milk than industry standard to deliver a superior caramel. Since then, Kraft Caramels have had a storied history, with a team of dedicated workers in Kendallville, Indiana making delicious varieties of North America's Classic Caramels right." 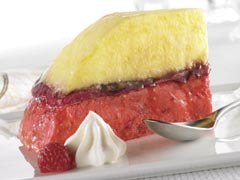 For over 100 years, JELL-O Powders, Instant Puddings and Pie Fillings have delivered the consistency that's at the heart of memorable desserts your customers will appreciate. Whether you're looking for a topping, syrup or inclusion, our syrups and toppings lineup has you covered. 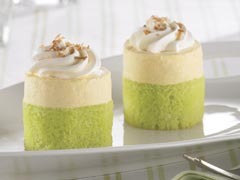 Our portfolio offers variety across flavour and application allowing you to make sinful and sensational desserts. The convenience and long-respected tradition of Baker's Chocolate, the rich texture and nostalgic flavour of Kraft Peanut Butter, and the high quality and standard that Philly cream cheese harbours, all make these some of the most popular elements of specialty dessert items. 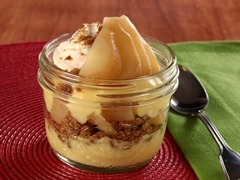 JELL-O Ready-to-Eat puddings come in 3 popular flavours, chocolate, vanilla and butterscotch. Perfect for today's active customers who need an on-the-go treat. Don't forget the pie—a dessert classic with endless possibilities.